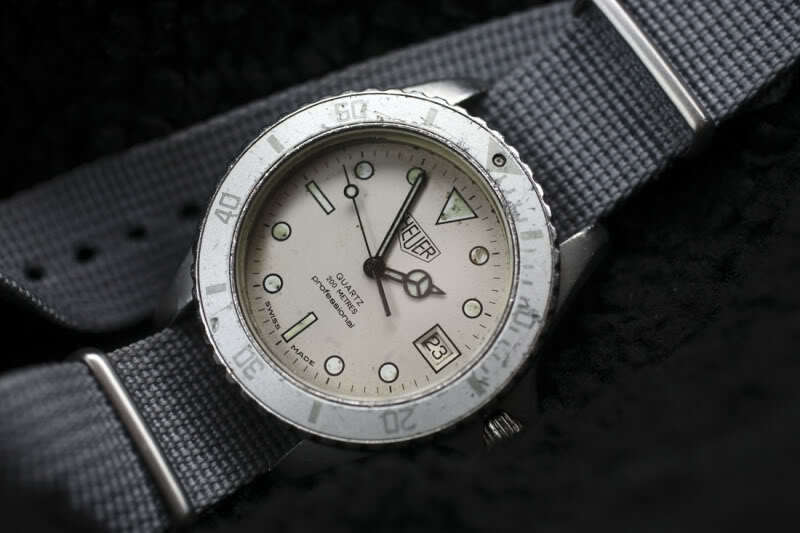 Grey, but not dull vintage Heuer diver. This a rare Pewter PVD Heuer diver. I have never seen it in any catalogues. Only known listing is in a German pricelist from 1985. This one is the normal sized mens watch at 38mm. There is a Pewter fullsize 42mm version as well. The price in 1985 was 580 DM. This watches come with Tropic 18mm strap or Pewter PVD 18mm Jubelee bracelet with Heuer signed clasp. I wear mine on a Tropic strap or a grey NATO band. I don't have to original bracelet. They are hard to find. The case back on mine has the great looking Heuer logo engraved. 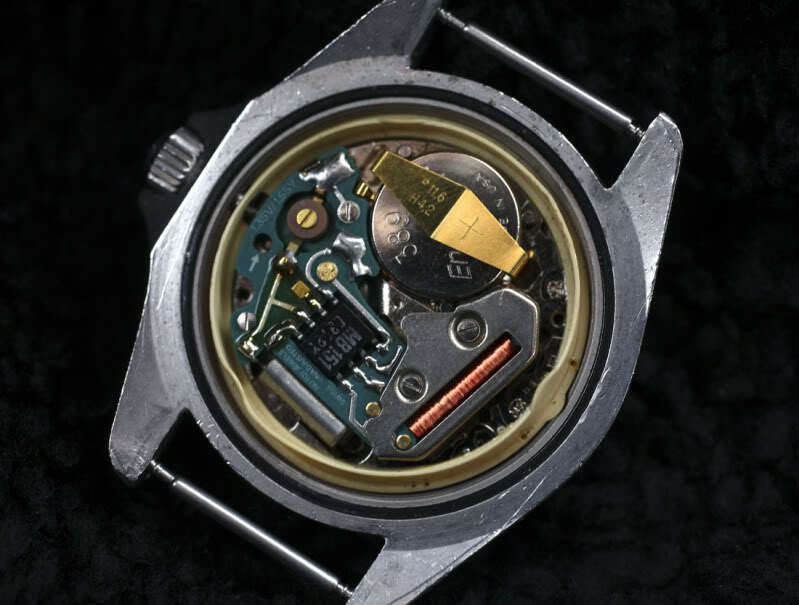 The very first of these Heuer diver had a plain case back. 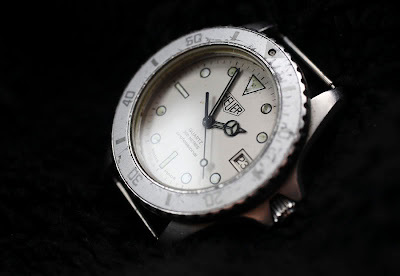 No Heuer logo, just the ref. number stamped in. The movement is ESA 536.121. 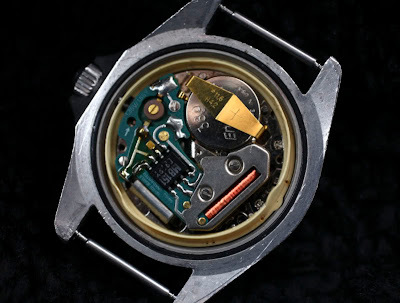 This is a thick early quartz movement. 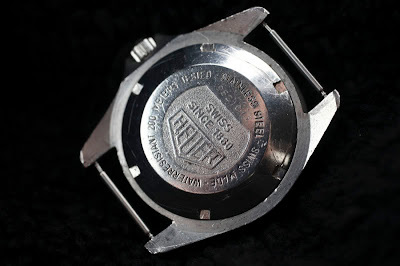 Some are signed with the Heuer shield logo, others are not. This is normal. 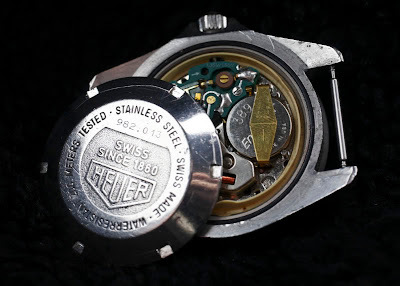 Parts is difficult to find, so try to find a working watch if you are looking for vintage Heuer divers. It is always a huge pleasure to read your post, especially the most recent post on servicing jumbo one.